“Kitesurfing” is a kite sport that sprang from kite boarding, the only thing different is that it is specific to wave riding. Using standard surfboards or boards built and shaped purposely for kitesurfing, the surfer glides and moves through the sea through the waves, unlike in wakeboarding that technical skills in manoeuvring, along with paragliding and gymnastics are employed. On that end, kitesurfing leans more on the fun and recreation side, while kite boarding on the technical and sport side. 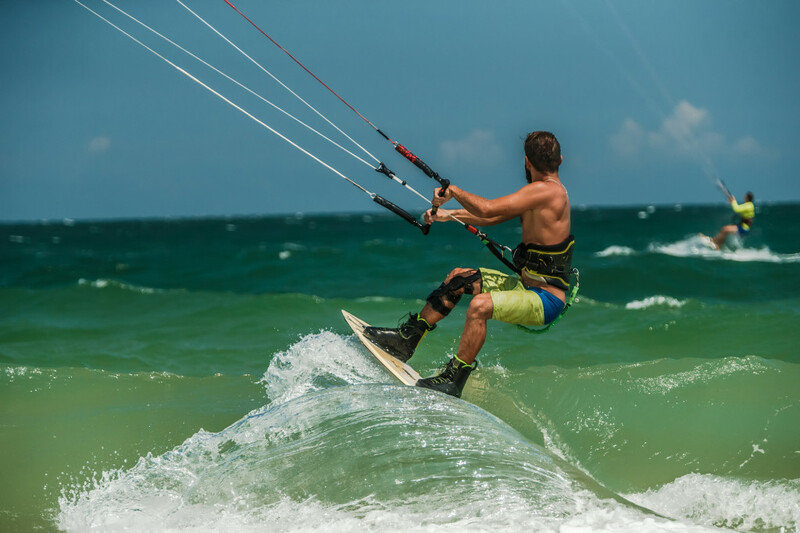 Today, the kitesurfing culture has become more and more popular. Organisations have turned it into a real competitive sport. As it has become a mainstream, international extreme sport in 1999, it also became almost synonymous to kiteboarding. The terms kitesurfing and kiteboarding have become interchangeable. All nuances and issues aside, we believe that kitesurfing is a wonderful addition to the kiting culture. Be it a sport or simply a recreational activity, it is still important that you aim to buy good quality kitesurfing boards, kites, and gear.